You may decide to end an internship prior to a previously-agreed-upon date. If so, you will want to communicate your intentions to your employer and make every effort to leave on a positive note, since you may want to secure a recommendation. Even if you don’t plan to use the employer as a potential reference but you do include the internship on your resume, then the employer may still be contacted by future employers. In most cases you should plan to meet face-to-face with your internship supervisor to hand off your letter and explain your situation in order to smooth over any negative reactions. Reference any benefits you have accrued from the internship and express your gratitude for the opportunity. Explain any factors that have impacted your decision, such as a paid job offer, a personal/family issue that has arisen, or a financial problem necessitating that you redirect your efforts. Provide as much notice as possible and offer a status update on any projects on which you are working. Volunteer to meet with any staff member to whom your work would be handed off to orient them about the project. In closing, reiterate your appreciation for the opportunity and your positive view of the organization and its staff. 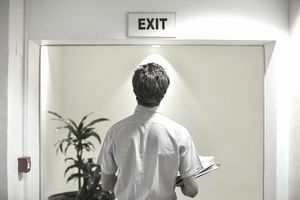 If you are resigning due to disappointment with the opportunity or problems with the staff, a face-to-face meeting with management will usually be preferable to any written documentation. Make sure you meet with your supervisor to discuss the situation and seek resolution prior to finalizing your resignation. In the case of harassment that doesn’t cease upon request, consult with the human resources department. This is an example of a resignation letter for an internship. Download the internship resignation letter template (compatible with Google Docs and Word Online) or see below for more examples. I want to thank you for allowing me to interview with you this past January, and then selecting me as your intern candidate. I know several people were vying for the position and I was pleased that I was selected. Although I have only been with Against All Odds Public Relations for six months, my time with the company has been fruitful and exciting. I can certainly understand why your many high-profile clients are so interested in retaining your services. You deliver results, and you do it in a professional and friendly manner. The intern role provided me with a lot of great experiences because I got to see first-hand how industry experts handle clients and deliver results. I truly have enjoyed my time with your agency. As I mentioned during the interview process. I have also been seeking full-time employment. One of the companies that I previously met with contacted me because of a job opening. This opportunity turns out to be ideal for me, and I have decided to accept that position. I just heard from this firm and wanted to let you know about my plans to leave Against All Odds in two weeks. During that time I am happy to meet you (or anyone else) to review the work I was engaged in. Rest assured, I will complete all tasks assigned to me and you can contact me via email if you have any questions after I leave. I want to reiterate my appreciation for spending the past few months educating me and training me about the public relations industry. This experiential learning has proved to be invaluable and I will always be grateful for your generosity of time. I also want to wish you the very best of luck in all your endeavors and look forward to reading about your clients in the various news outlets and on social media platformers. I hope that we can stay in touch, and to that end have included my contact information at the top of this letter.